DPC practice marketing is a major challenge for many direct primary care practices. Even for seasoned practices who are at capacity, the clinic may need a robust strategy to retain the patients it has and keep the clinic at its current numbers. And given the uniqueness of a model which charges people a periodic fee even when they aren’t sick and outside of insurance premiums, convincing people that practice membership is worth their money can be somewhat of an effort. Moreover, DPC practices typically don’t grow by traditional marketing means such as mass mail-outs, commercials, highway signs or radio ads. People want to find their doctor more organically than they do their tire shop. So what is the ideal marketing strategy for a DPC practice? [2:50] Can you tell us about Priority Physicians? How did you start it? Why did you start it? Tell us a little more about the practice. [5:46] Can you tell us your price point? [6:38] How did you grow the practice from 2 doctors and 10 patients to 7 doctors and 1200 patients? [11:49] What DPC Practice marketing strategies have you tried that work? What marketing strategies have you tried that haven’t worked? [17:10] For a DPC doctor who is just starting out, how would you suggest they start out building their DPC practice? 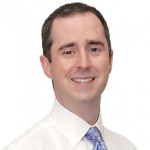 Dr Matt Priddy is a family physician in Indiannapolis, IA. He founded Priority Physicians in 2002. He has also served as the president of the American Academy of Private Physicians and is one of the founders of the ROAMD Network.